Once your students have mastered counting forward then it's time to teach them to count backwards. The easiest way to introduce counting backwards is by using your fingers. Kids seem to understand the concept when they can visually see it. Start by holding up ten fingers and as you count down have the child put another finger down. Another way to introduce counting backwards is to literally count backwards as you walk backwards. For every step the child takes he will say a number. Once your students understand the basics of counting backwards, then it's time to introduce new activities that will reinforce the concept. This activity is for younger students. 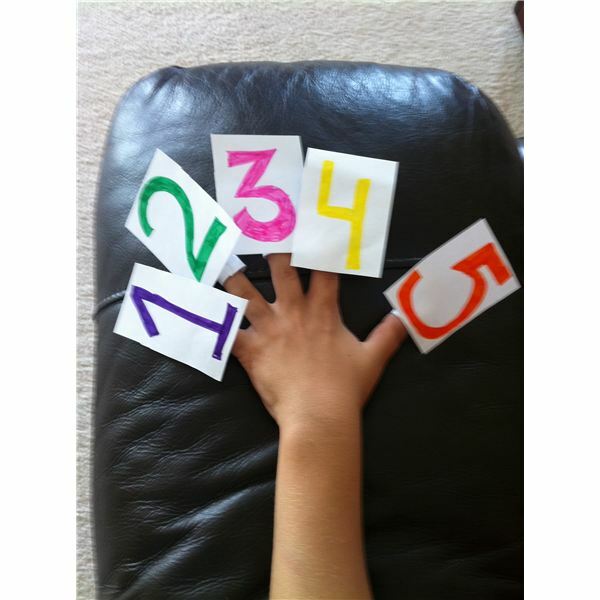 Create numbered finger puppets to help students learn the concept of counting backwards. On a blank piece of paper write out each number in a big, bold color. Then cut about a three-inch by one-inch piece of paper. Fit each piece to the student's fingers and then glue the number to the three-inch pieces. This is a fun way for students to learn how to count backwards. This activity can work with both the younger students and the older students. Use sidewalk chalk to create a hopscotch game and have students jump on the numbers counting down. For the older students you can start at 20 and for the younger students you can start at 10. Another way to use sidewalk chalk would be to have the students create a number line in descending order. The older students can start at number 50 and the younger ones at number 20. Both of these counting backwards activities are hands-on and will help the students visualize the idea of counting backwards and have fun at the same time. Worksheets can be a fun way to get the students to practice counting backwards. For the younger students provide them with a dot-to-dot worksheet that will help them learn how to count down from 20. You will download a worksheet titled "Connect the Dots " by clicking on the link in this sentence. Have the students start at the number 20 and connect the dots to make a picture. For the older students, provide a worksheet on which they will have to write the missing number in the box. Have them start at the number 50 and work their way down. You will find a worksheet titled, "Count Down the Missing Numbers " by clicking on the link. Both of these worksheets will give the students practice in counting backwards. Every child loves money, and coins are a great way to practice counting backwards. Have each student bring in 50 pennies and a jar or plastic container. Have some extra pennies on hand for the children that don't bring any. As a class have all of the students place their pennies on their desk. Starting with the number 50, have all of the students count down each penny as they put it into their jar. A fun idea would be to have the students decorate their containers so they are like personalized piggy banks. For the older students you can use the same concept but have them bring in quarters or dimes. 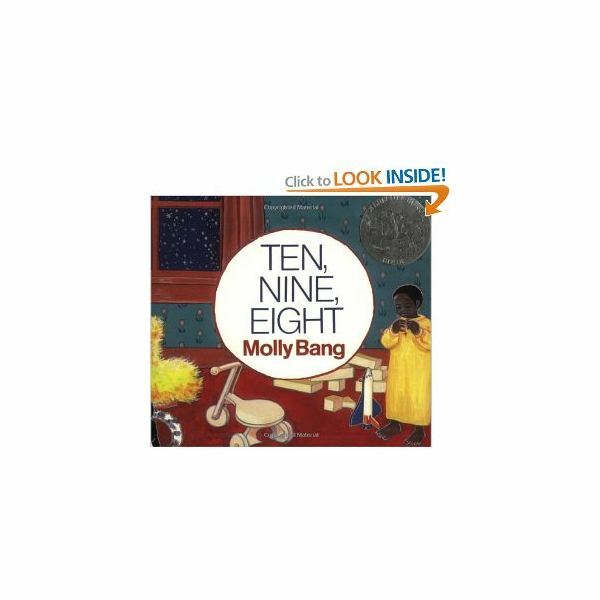 Betsy Franco, Ten, Nine, Eight by Molly Bang, or Apple Countdown by Joan Holub. All of these stories are a great way for students to grasp the concept of counting backwards. After reading each story you can extend the activity by having the students count backwards as a class. 1 swam away and went past me. Have students sing the song until they get to one little fishie. Have them use their fingers when saying the number of fish. 49 bottles of pop on the wall. Have the students sing the rest of the song by ones. For additional songs, sing known favorites such as 10 Little Indians, 10 Little Monkeys or 10 Little Ducks, and start with the number 10 and count down. All ideas and activities were created by Janelle Cox based on her classroom experience. Holub, Joan. Apple Countdown. Whitman, Albert & Company, 2009. Bang, Molly. Ten, Nine, Eight. HarperCollins Publishers, 1996. Franco, Betsy. Bird Songs: A Backwards Counting Book. Simon & Schuster Children's Publishing, 2007.